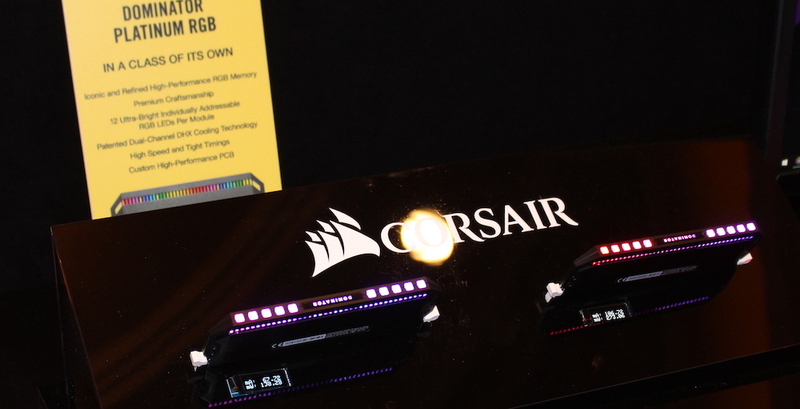 As the hectic week of CES 2019 comes to an end, we take you back to our visit to Corsair earlier this week. 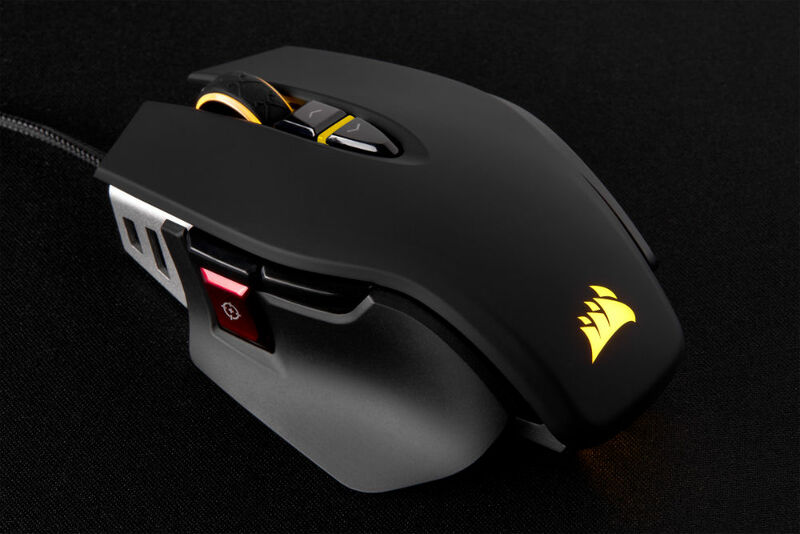 We already know Corsair is essentially a one-stop-shop, but what’s more impressive is Corsair’s dedication to advancing the technology in their components. 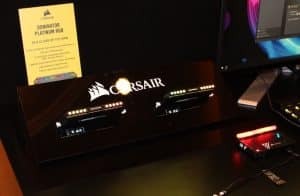 While other peripheral manufacturers are content using current standards in new components, Corsair has pioneered Slipstream Wireless and Capellix RGB/LED technologies. 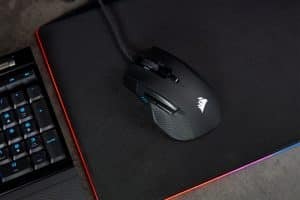 This proprietary technology is available in the Harpoon RGB Wireless, but Corsair plans to bring it to other peripherals in the future. 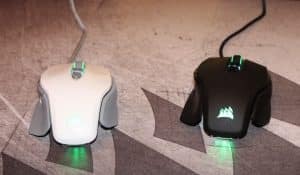 The Harpoon RGB Wireless a refresh of the entry-level Harpoon mouse, but is as stated, wireless and features a 10,000 DPI sensor. Note it does come with the possibility to connect via a wired connection as well. Although it was just launched, the Harpoon RGB Wireless is already available for $49.99 on Newegg. This a completely new product, designed for palm grips or gamers with larger hands. 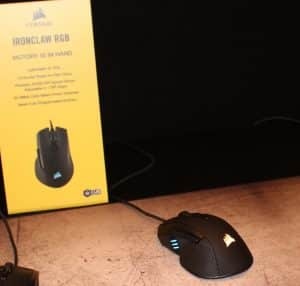 This was a missed opportunity for Corsair in my opinion, I think “bearclaw” would have been a better name! In any event, the Ironclaw features a custom sensor capable of 18,000 DPI, seven programmable buttons and of course, RGB lighting. The Ironclaw RGB is already available on Newegg for $59.99. Last up is the M65 RGB Elite, which sports the same 18,000 DPI sensor as Ironclaw, but some additional features like adjustable weight system (97g to 115g), Omron switches and RGB lighting. Perhaps the coolest part is the “sniper button”, which allows you to instantly adjust your sensitivity during gameplay. This makes for switching between automatic weapons and a sniper rifle much smoother, giving you a leg up on the competition. The M65 RGB Elite already available on Newegg for $59.99 in both black and white variants. Corsair’s latest Dominator Platinum RGB memory will feature the new Capellix LED technology that shrinks the LED’s dies by more than 90%. This means lower power draw, longer lifespan, and even brighter than before. Corsair claims 40% less power draw and 60% brighter lighting. This technology will make it’s way to other products in the future. For now, Corsair was showing it off on their latest Dominator Platinum RGB memory lineup, which should launch in February. Like other companies we visited, Corsair is also offering white peripherals and accessories. In addition to white cables, Corsair launched the Hydro Series H100i RGB Platinum SE AIO cooler. They also had some refreshed cases on display.